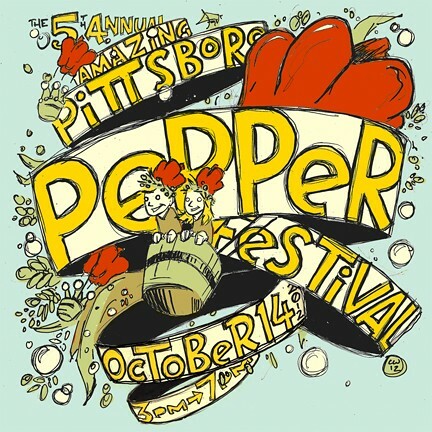 If you’re a voracious local foodie, a supporter of North Carolina’s sustainable agriculture or just enjoy good music and a cold beer, don’t miss the 5th Annual Amazing Pittsboro Pepper Festival this Sunday, October 14th, 2012 from 3-7pm at Briar Chapel Community Park (map). The Pittsboro Pepper Festival aims to spread the superfood power of regional peppers while promoting local food, fun, and community. All proceeds from the Pittsboro Pepper Festival go toward sustainable agriculture education and research in the Piedmont of North Carolina through The Abundance Foundation and Piedmont Biofarm, both located at The Plant in Pittsboro. 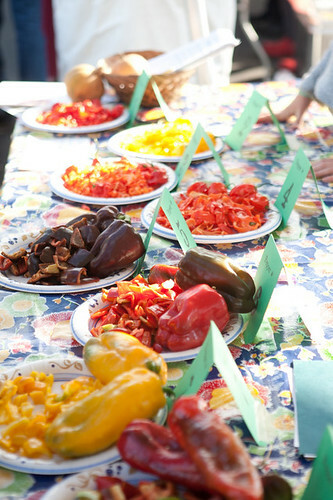 The festival features over 30 local chefs from Raleigh, Chapel Hill, Durham, Cary, Greensboro, Carrboro and Pittsboro who choose from a wide variety of heirloom local peppers (everything from sweet to hot!) 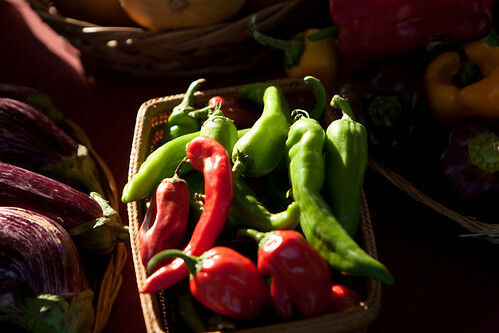 to create their most creative pepper dish or drink to serve in person at the bustling festival. Pepper Kings and Queens, kid’s activities, and a community of local food lovers, sustainable agriculture activists and sustainability educators will be a part of the event. Fun for the whole family includes a Vegetable Circus, hula-hoops, face painting, and the return of the legendary big bubbles on the green. Musical entertainment provided by The Free States, Justin Johnson, and Diali Cisshoko & Kairaba! $30 in advance until Oct 13, $35 at the entrance and includes all-access to food and entertainment. Drinks are cash bar. To purchase tickets and get more information please visit the festival website. Piedmont Biofarm is a year-round vegetable farm feeding the community and performing groundbreaking sustainable agricultural research. The Abundance Foundation is empowering the Piedmont on sustainable agriculture, renewable energy, and local economy through DIY workshops, community-building events, and by actively engaging youth.